A cornerstone of the district’s plan is the construction or major renovation of a dozen schools over the next 10 years to address building deficiencies and a shortage of classrooms in some parts of the city. A lack of construction timelines. No firm decisions about where most new schools would go. And too few dollars to cover the costs of constructing or rebuilding a dozen schools. Those concerns taken together make many Boston parents and advocates question whether the school system’s long-term school facilities proposal, outlined in a 166-page report released Wednesday night, will get completed in the specified 10 years — if at all. “I’m disappointed there isn’t more detail,” said Kevin Murray, a member of the grass-roots parent group Quality Education for Every Student. The proposal, known as BuildBPS, has been three years in the making. A cornerstone of the plan is the construction or major renovation of a dozen schools over the next 10 years to address building deficiencies and a shortage of classrooms in some parts of the city. The proposal also calls for the elimination of the system’s six remaining middle schools, which will be reconfigured into elementary or secondary schools. 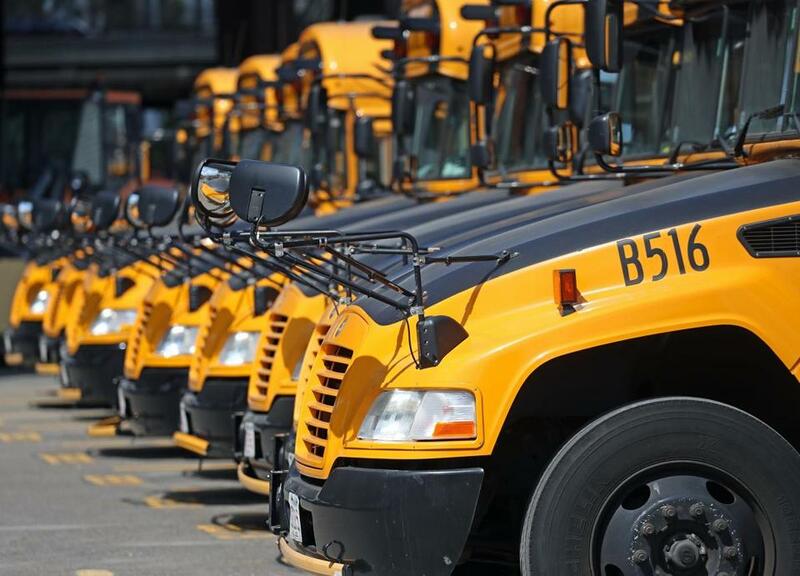 Mayor Martin J. Walsh has pledged $1 billion to the effort, which also includes small-scale upgrades, such as replacing windows, boilers, and roofs, at other schools. “BuildBPS is an opportunity to invest in school buildings that will deliver high-quality learning environments to ensure our students receive the education and opportunities they need to be successful,” Walsh said in a statement. But some parents and advocates question whether there is enough money to fund a dozen major projects as well as upgrades to schools in a system where more than half were built before World War II. Like other parents, Marshall said he worries the proposal will create disruption and instability as the school system realigns grade configurations among its schools. Most affected will be elementary schools, which will be adding sixth grades. Some have space for this, but more than half of them, including the Bates, do not, which will cause many schools to merge into upper and lower campuses or, in a few instances, move into much larger buildings. Marshall said a big school atmosphere could diminish the intimate supportive environments that small schools can offer and he questions why schools like the Bates, which have land to expand, can’t put up a small addition. Parents at other schools with extra space, such as the Harvard-Kent Elementary School in Charlestown, expressed frustration that they can’t add a sixth grade next year. School officials said they came up with the best recommendations based on the money available and designed the proposal with loose timelines so they could adjust it along the way should enrollment trends change during the next 10 years. They also said they are evaluating several proposals from various schools to add sixth grades and plan to green light some for fall 2020. City Councilor Annissa Essaibi-George, who chairs the council’s education committee, said she still has several concerns, including the effect on students who will be uprooted from their schools. Initial steps call for closing Urban Science Academy and West Roxbury Academy in June and McCormack Middle School the following year. Essaibi-George said she is also disappointed that the proposal doesn’t call for a major renovation of Madison Park Technical Vocational High School, which is trying to prepare students for 21st-century jobs in a building that is four decades old. She noted the quality of the school’s programming can make a huge difference on whether students experience economic stability or instability later in life. “Madison Park is not referenced in any meaningful way,” said Essaibi-George, who sent a letter to the School Department Thursday highlighting her concerns. A coalition of nearly a dozen civil rights leaders, educators, parents, and other advocates who called for a moratorium this month on school closings until a more thorough plan is developed is still evaluating Wednesday night’s report, said the Rev. Willie Bodrick of Boston Network for Black Student Achievement. Bodrick said he wished school officials had given the public advance notice that the report would be released at the School Committee meeting Wednesday night. Instead, the committee’s agenda merely stated there would be an update.